Game developers and publishers continue to give focus to the power of audio in today’s games. Whether PC, Mac or console, audio plays an increasing role in creating an immersive environment for gamers. While some players lament that audio is still lacking in many titles, my experience has proven that you don’t have to look far to find soundtracks of ‘Hollywood-class’. Two recent titles which have received much attention from the gaming and gaming music press are Advent Rising and Jade Empire . Both titles have an official soundtrack release available, and both truly raise the bar for music in AAA game titles. 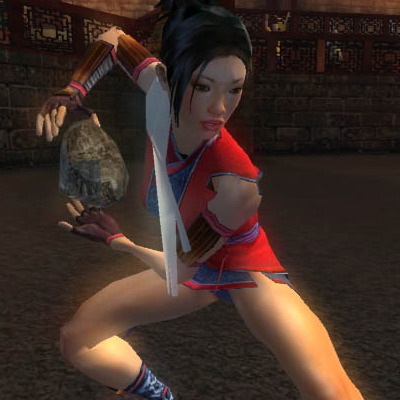 Gamers who play Jade Empire may expect to hear a clichÃƒÂ©d quasi-asian-influenced soundtrack. Not so. Composer Jack Wall enlisted the help of Asian music scholar Zhiming Han to ensure accuracy, integrity, and authenticity, with Wall himself giving a unique ‘Western’ voice to the title. Paying homage to great soundtracks such as Crouching Tiger, Hidden Dragon and House of Flying Daggers, Wall still manages to create a unique palette which walks the line between contemporary Hollywood and classic Hong Kong. 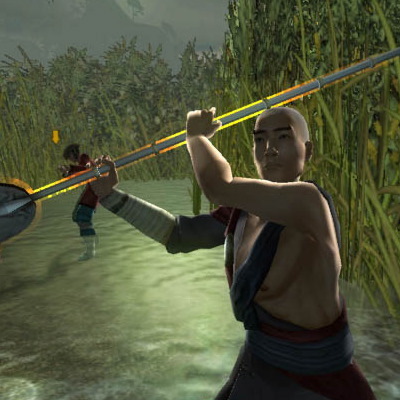 Fortunately for Wall – and gamers – Bioware had plenty of cash and plenty of disk space to allot to the audio for Jade Empire. A Bioware audio designer tells us that the audio content for the title exceeds 1.31GB with over 4200 sound effects. And that is not including the 15,000+ lines of dialogue. Indeed, Mario never had it this good. Wall worked with wide variety of well trained musicians for the score, including classical Chinese instrumentalists, Taiko drummers and other percussionists. The quality musicianship of these folks is apparent on tracks such as “The Way of the Open Palm” and “Fist/Test Your Mettle”. But the real power and magic in the soundtrack is found in tracks that openly showcase both the musicians and Wall’s own Western influence. “Empire at War” and “Torment/The Way Of The Closed Fist” are such tracks, showcasing the classic Hollywood-like score sounds of hard-hitting percussion, spicatto strings, strong brass, and soaring horn and wind melodies. In 2004, Jack Wall received the Music of the Year award from the Game Audio Network Guild for his soundtrack to Myst IV: Revelation. Wall has continued his legacy of outstanding compositions with Jade Empire, yet he has elevated his work to a new level by so deeply involving traditional musicians. Zhiming Han undoubtedly helped provide authenticity to this title and in doing so, helped to make this one of the finest Xbox soundtracks to date. The Advent Rising soundtrack has been hailed by several game review magazines as one of the finest game soundtracks ever recorded. Indeed, this particular work, composed by Tommy Tallarico and Michael Richard Plowman, truly illustrates the power that great music can exact on a game title. Moreover, this soundtrack is a prime example of how far game audio has come in such a short amount of time. Tallarico, considered by many to be one of the greatest game music composers of our generation, helped amass a 70-piece symphonic orchestra to record this sweeping score. On par with many of today’s biggest Hollywood blockbusters, Advent Rising soars from delicate and intimate, including some lovely vocal arias by Charlotte Martin, to brash and ambitious. Some tracks incorporate some deeply classical roots while others lend themselves to more contemporary Hollywood. “Bounty Hunter” includes a choral performance utilizing popular Requiem liturgy to yield an intense and powerful theme, while “The Aurelian Movement” and “Human Demise” could just as easily have fallen straight out of a John Williams score. 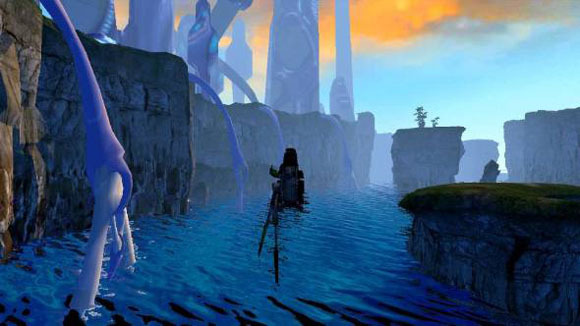 Advent Rising, as a game, has received mixed reviews in the press. While this is unfortunate for the game developers and publishers, who may have attempted to do too much with this first title (an Advent Trilogy is planned), this should in no way reflect on Tallarico and Plowman’s work on the score. Indeed, these composers have continued to raise the bar for original game soundtracks. Granted, not all developers and publishers have the budget to work with the likes of Tallarico, but at the very least these composers help define what is possible with platforms and consoles today, and in doing so they help give other game creators and composers something to aspire to. As a game player and composer, it would not surprise me in the least to see either or both of these albums up for Music Of The Year or Best Original Soundtrack Album at the 2005 Game Audio Network Guild Awards. 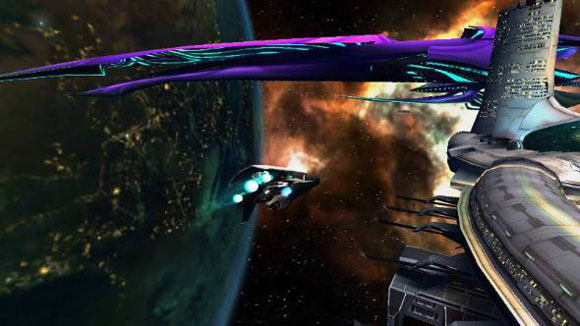 Yet as the market for album-versions of game soundtracks grows, so does the competition. Still, these composers are at the top of their game, and among the most respected and sought-after in the industry. I am looking forward to the 2005 GANG awards – and I’m fairly certain these folks will continue to elevate the quality of game music for years to come.